CONTACT EDGE LAW OFFICE, THE PREMIER MOBILE, AL BANKRUPTCY LAW FIRM TODAY! The Bankruptcy laws offers people an opportunity to put aside their crushing debt load legally and get a fresh start. Unsecured debts, such as credit cards and medical bills, can be reduced or eliminated and secured debts can be restructured through the filing of a chapter 7 or chapter 13 bankruptcy with legal assistance from the Edge Law Office in Mobile, AL. The main benefit of Chapter 7 is the elimination of most, if not all of your debts. 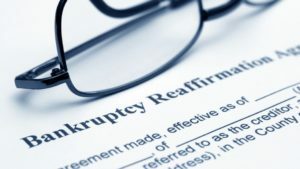 Under Chapter 7 bankruptcy, often referred to as ‘liquidation’ or ‘straight bankruptcy’ one is allowed to protect a certain amount of property. Your non exempt property may be sold to pay creditors. Understanding this complicated system often requires the training of an experience attorney. Especially to maintain everything that you are entitled to. The Edge Law Office provides caring, informative bankruptcy solutions to clients throughout southwest Alabama. With legal representation from the Edge Law Office, you find excellent options to immediately put a stop to harassing collection calls, wage garnishments, foreclosures or repossessions. Just refer calls to our office, where our Mobile Bankruptcy Attorney will take over for you. All threats are illegal, and harassing phone calls or other disruptions to your peace of mind will be stopped. New laws are on the books that restrict collection efforts; if a collector persists in illegal tactics, you may even be able to sue them. Bankruptcy Attorney Larry Edge has helped many Alabama people from Mobile, Baldwin, Escambia, Choctaw Conecuh, Clarke, Monroe and Washington counties get the debt relief they deserve. He offers clients personal, caring legal representation that is only found in a small firm setting. Our focus is on you and your legal matters; you work with the attorney and are not passed off to other staff members. Larry is readily available to answer your questions and concerns. When your application has been denied, consult with our Southwest Alabama Social Security attorney get the personal attention your case needs to get the benefits you deserve. Many consumers wind up with unmanageable debt loads, often due to illness, divorce, loss of their job or due to creditors who continue to up unsecured credit limits even when debtors are maxed out. The best way to deal with this may be head on, by filing for debt relief with a chapter 7 bankruptcy. Chapter 7 or liquidation allows you to discharge most unsecured debts while exempting/protecting certain property as allowed by law. In most cases your property is exempt. It is important to hire an experienced attorney to help you achieve the fresh start you deserve. If you live in southwest Alabama and want individualized bankruptcy solutions that work in your favor, contact our Mobile Bankruptcy Attorney, Larry Edge. Take time to discuss your financial situation confidentially with a professional who cares and will fight for your best interests. Call Attorney Larry Edge now, at (251) 281-1388.